I thought some of you might like to see some of the results by country. The movie Cloud Atlas made the list twice (and the book once), and Stephen King and Haruki Murakami both show up twice. Danielle from the Netherlands hopes to be a writer someday and Nic from Great Britain is a children’s picture book editor. 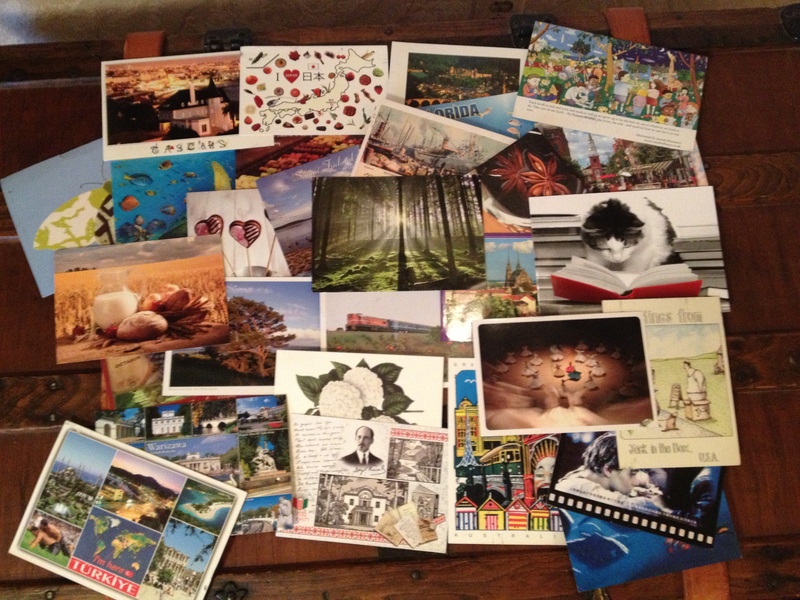 If you are interested in sending and receiving postcards, visit www.postcrossing.com. It’s free! This is fascinating! I love statistics like that. I hope you’ll do a post like this from time to time. That’s really neat! I agree with Kathy, hope there are more posts like this. This is so cool, Stacy! That is awesome Stacy – how fun. Very fun! Thank you for sharing these with us. Postcrossing sounds like a fun hobby. Thanks for sharing your statistics. I think I might want to start doing this postcrossing. So awesome! How much does it cost to send postcards to foreign countries? Is it very expensive? It’s $1.10 for every postcard no matter where it goes out of the US. The postcards are as cheap as you can find them! They make you start by sending only one or two at a time. It takes a while at first to get your first few postcards depending on where they come from. And you never know where it will be, that’s what makes it so fun! I like sending them as much as receiving them. How fun! Be interesting to see how these responses change over time.